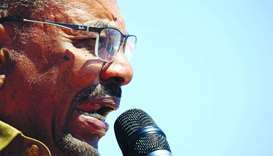 Sudanese President Omar al-Bashir on Tuesday urged those displaced by the conflict in Darfur to return home, saying the region had now recovered from a war that has killed tens of thousands. Omar al-Bashir said security issues in Libya had made Khartoum's fight against human trafficking "more expensive". 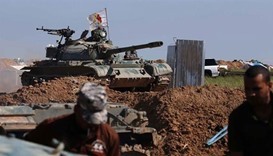 Iraqi Shia paramilitary forces have launched an operation to retake a town from which the Islamic State group launched a chemical weapons attack that killed three children, commanders said Sunday.